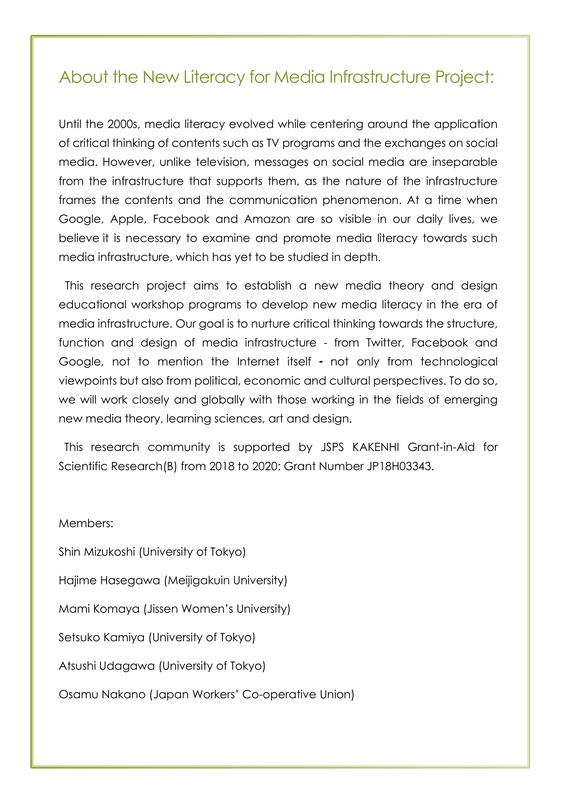 On Monday October 8th, 2018, we have just successfully finished the first international seminar of the New Literacy for Media Infrastructure Project (Director: Shin Mizukoshi). 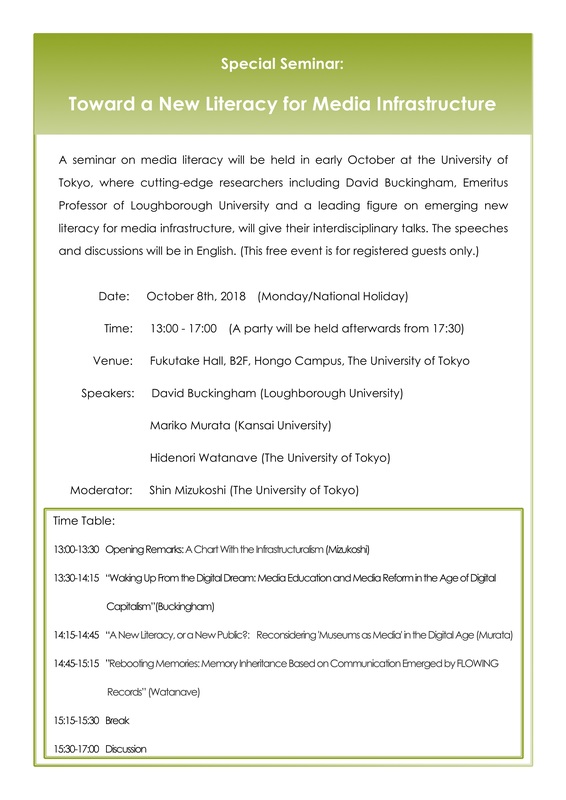 Emeritus Prof. David Buckingham of Loughborough University, Prof. Mariko Murata of Kansai University, and Prof. Hidenori Watanave of University of Tokyo, and about 50 registered guests: researchers, students, media practitioners, engineers and artists got together at the Fukutake Hall of the University of Tokyo, and had an intensive and thought-provoking event. Detailed report will be up in one month. Thank you for all the participants and supporters to hold such an interesting kick-off event. P.S. 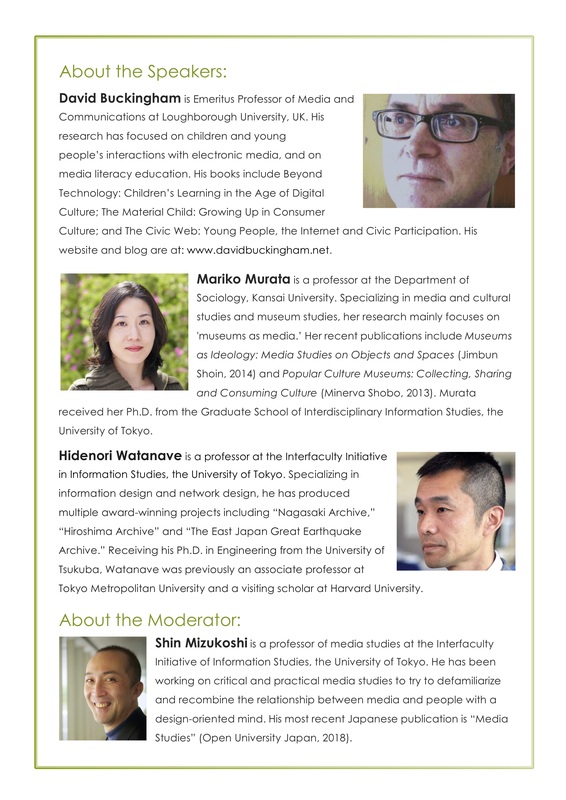 The following is the poster of the event.